Detroit-based “The Shades of Blue” are back! In the Spring of 1966, a, suburban Detroit vocal quartet called The Shades Of Blue, skyrocketed to the top of charts with their “Blue-Eyed Soul” smash, “Oh How Happy”, blasting to the number one slot on the Detroit-based stations within only three weeks. 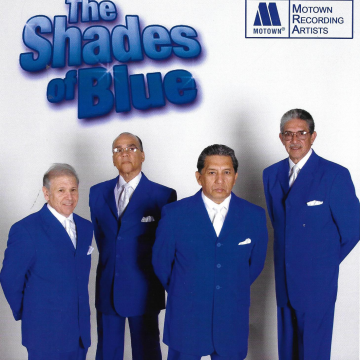 The Shades of Blue have performed for numerous sold out audiences all over the world, with current members are Donald ReVels, Charlie Valverdi, Stuart Avig, and Charles Davis. Catch their performance at 6 pm Saturday, June 30th at the USA Days Festival. You can check them out on http://www.theshadesofblueonline.com and on YouTube.